One percent of Americans will develop epilepsy in their lifetime. About 2.5 to 3 million people in the U.S. have epilepsy. Additionally, about one in 26 people will experience recurring seizures. 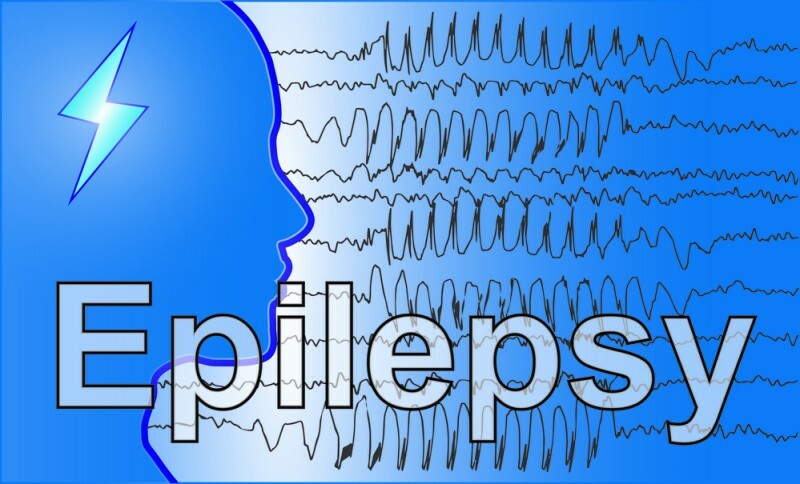 Epilepsy, also called seizure disorder, is a diverse group of neurological disorders of varying types and severities which are characterized by recurrent seizures. When a person has had two or more seizures which have not been provoked by specific events such as trauma, infection, fever or chemical change, they are considered to have epilepsy. An estimated 65 million people worldwide currently live with epilepsy. Epilepsy may occur because of a genetic disorder or an acquired brain injury, such as a trauma or stroke. During a seizure, a person experiences abnormal behavior, symptoms, and sensations, sometimes including loss of consciousness. There are few symptoms between seizures. Epilepsy is usually treated by medications and in some cases by surgery, devices, or dietary changes. Epilepsy and seizures can develop in any person at any age. Epilepsy is more common in young children and older people. Slightly more men than women have epilepsy. Seizures can be divided into two main types: Focal (partial) seizures and generalized seizures. Focal seizures can be further divided into two types: simple focal seizures and dyscognitive focal seizures. Simple focal seizures, also called simple partial seizures, affect only one area of the brain. Memory and cognitive abilities remain unimpaired, but a partial seizure might lead to temporary paralysis, visual changes, or difficulty with simple movements. Less than 15 percent of people with epilepsy have simple focal seizures. A dyscognitive focal seizure only affects a specific part of the brain. Unlike focal seizures, a dyscognitive focal seizure can cause mental confusion, loss of memory, and loss of awareness during the seizure. People having a complex focal seizure may appear unaware or dazed. More than a third of patients with epilepsy have dyscognitive partial seizures. There are amazing advancements being made in the realm of epilepsy and the ability to diminish it’s effects on people with the use of CBD and cannabis therapies. There is research being done by some universities, but I truly feel it’s not enough. There are beacons of light and hope like the University of Alabama that are conducting research, and these research projects deserve to be fully funded in my opinion. According to BizJournals.com, University of Alabama at Birmingham is making great strides in the field of CBD oil Research. “Researchers at the University of Alabama at Birmingham have discovered evidence of interactions between cannabidiol oil, known better as CBD oil, with commonly used anti-epilepsy drugs. The findings, published on Monday in Epilepsia, the journal of the International League Against Epilepsy, show the first indications of a potential drug with CBD oil. The substance is drawing great interest as a treatment for epilepsy. The UAB Epilepsy Center launched a study of CBD oil in March 2015; the study was designed to test the safety and tolerability of CBD oil, which is a derivative of the cannabis plant. The patients in the 2015 study were receiving therapy for severe, intractable epilepsy in both adults and children. The study had patients taking CBD oil as well as their prescribed anti-epilepsy medicine as well. “Researchers are now hailing a compound in marijuana as a "game-changing medication" for epilepsy. Based on testimonials from parents, Orrin Devinsky of NYU's Comprehensive Epilepsy Center set out to find proof that epilepsy could be treated with cannabidiol (CBD)—and he says he did. In a 14-week study, 60 kids and teens with a severe form of epilepsy known as Dravet syndrome were given doses of CBD and saw their number of monthly convulsive seizures fall from 12 on average to about six, reports Live Science. Three patients saw their seizures stop entirely, the researchers say in the New England Journal of Medicine. One downside: Almost all patients who took CBD reported side effects, including vomiting and diarrhea, per Scientific American. (CBD doesn't get users high.) But 62 percent of caregivers said the condition of the child in their care improved overall. That's compared to 34 percent of caregivers of children who took a placebo, who went from having about 15 monthly seizures to about 14. Given this study and others, Devinsky says it's "medieval" that marijuana is deemed a Schedule I substance under the Controlled Substances Act. Drugs in this category have "no currently accepted medical use," according to the Drug Enforcement Administration, but that's "simply untrue," he says. As we progress in the 21st century, and as Hemp and Cannabis legalization becomes a reality; I am eager to see the advancements we as a society can make regarding the treatment of diseases and ailments using cannabis based therapies! As always, please consult your physician before deciding on a course of treatment action for you and/or your loved ones.